I don’t exude American patriotism. I endearingly embrace the armed forces and our commander-in-chief and I would never venture on to foreign soil and palpably disrespect the United States. However, the foundation of this land, which was built on African bloodshed and Native American sacrifice, forces me into the gray area of loving to hate. Regardless of this angst, every four years, I root for the dear ol’ U.S. of A in the summer Olympics. The 2012 London Olympics have succeeded in gaining my undivided attention as well. Like most others who don’t have access to the events in real time, I’ve been using social media to engage in what’s happening in England. As the results have been shared on Twitter and the Yahoo! home page, I’ve rejoiced. To date, the U.S. has racked up 37 medals to China’s 34 and this is the first games where all participating teams include women athletes. I have reason to celebrate! But I’m expressly elated about the success of Gabrielle “Golden Gabby” Douglas and Lia Neal, two black women representing for the U.S. on the swimming and gymnastics teams. Forgive me for being biased, but these two phenoms are impressive to me – swimming and gymnastics aren’t considered “black people” sports – so I root harder and shed more tears for them. It isn’t often that little black girls are elected to national teams, especially at 16 and 17-years-old, respectively. Two black girls from Virginia Beach and Brooklyn are living out their wildest dreams before their 18th birthdays and all the mainstream media is concerned with is Golden Gabby’s hair? I am outraged! She’s 16 and has tumbled her way into Olympian history books. When we were 16, we hadn’t even figured out our futures. Douglas has achieved that and inspired millions of black girls from Los Angeles to Miami with her amazing journey. The overall media coverage of Douglas has been biased after their favorite girl, Jordyn Weiber, was knocked out of the all-around competition. But that’s not the reason for this blog post. As I witnessed the media’s coverage of Golden Gabby’s hair, it reminded me of that beautiful afternoon in March 2011 when I decided to enter creamy crack rehab with a big chop. I had been wearing a relaxer since the age of six or seven, so I had no inkling of what my natural curl pattern was or how I would deal with “untamed” hair. But witnessing the freeing craze at my fabulous alma mater, Bennett College, inspired me to head to that barber’s chair on that warm spring afternoon in Greensboro. I was prepared for the gasps of disbelief when I displayed my blonde Caesar; I even could have accepted speculating questions. But nothing could have equipped me for the backlash. More than a year after my initial chop, my fade has grown into a large afro and I’ve adopted the “afronista” label. But the scars from the initial assumptions still haven’t faded. As Gabby and Lia have inspired black children to reach for Pluto, they have encouraged me to dispel the folklores about natural hair. There are hundreds of them, but I’ll combat five. Just because I have a ‘fro doesn’t mean I’m attracted to women. A hair style is no indication of sexual preference. 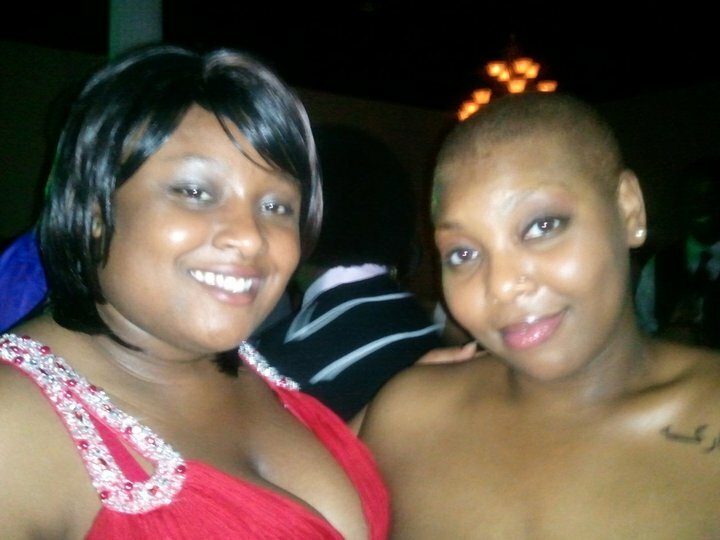 Chopping my chic short cut into a Caesar was a difficult decision. It required courage and prayers to a higher power. I did NOT transition into a natural cut as an act of rebellion. If nothing else, it was an outward embrace of loving who I am at the core – and not being ashamed of my coarser tresses. 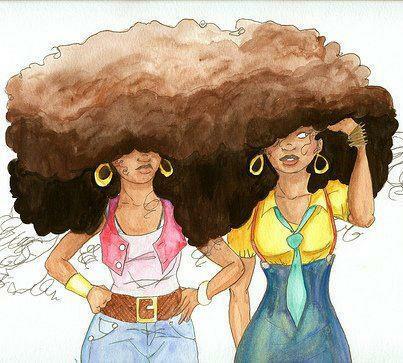 Some people assume that natural hair is the beginning of a “healthier lifestyle.” Please don’t mistake me. I still wear artificial nails, wax my eyebrows and eat meat. A Shake ‘n Bake pork chop makes me smile. I’m not opposed to weaves. In fact, since transitioning to natural hair, I’ve worn a weave and I’m donning micro braids this summer. I refuse to discriminate against sistahs who choose to relax their tresses or extend them with Indian Remy. Weaves are great! Embrace them. I do. You know how Denise Huxtable was misguided in life, so she embraced the strangest aspects of it? Nope, that’s not me. I haven’t jumped onto the eccentric bandwagon and I won’t be naming my children Nakoa Wolf to prove how offbeat I am. Gabby and Lia, thanks for the courage!